With the FireText API, you can easily connect your account with your own application or website. 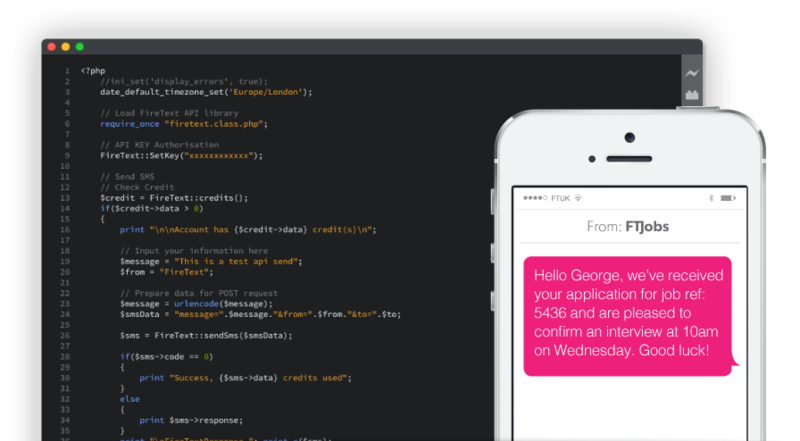 The FireText SMS API will give you the tools you need to send & receive SMS text messages, add new contacts and manage your account. You can connect into our SMS API using a simple HTTP POST. We've made it very easy to connect with us. We've provided full documentation and a Software Development Kit (SDK) to get you started.